Donkey training is not as easy as I thought it would be. So be forewarned! I know these critters look pretty simpleminded, but they are really very smart indeed. “Peanut” is progressing fairly well however, at least in so far as carrying a load of noisy cans and bottles. But the riding part needs is a bit of a bronc buster! Although we started out with a good ride the first time, Peanut has not taken well to being ridden since then. And really the hardest part is the steering. The Salinas River is an amazing natural resource, not only because our drinking water in this area comes from it, but because it is a wonderful place to hike, walk dogs, ride horses, and as many know but don’t share, ATV’s come in on the weekends and have a great time. But with all the “traffic” people always seem to leave trash behind. Not sure why. My goal is to pick up everything I can out there and hope that people see this place as clean and beautiful again so they won’t continue to leave trash behind. Donkeys really like to eat much more than they should. 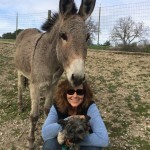 So if you decide to get a donkey, and start donkey training, you’ll need a dry pasture area and not mind much if your trees should disappear over time. They eat everything! Besides all that, they have lots of personality and they like to let you know what they’re thinking! Generally they sound like they just lost their best friend, but usually when they talk it means “Come pay attention to me and don’t forget to bring the snacks”! 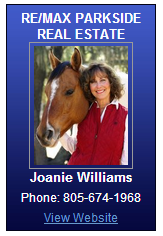 This entry was posted in Atascadero, Horses and Donkeys, Real Estate News and tagged donkey training, Salinas River. Bookmark the permalink.